Find Lancaster, SC Condos for sale. View Photos, Maps and MLS Data Now! Lawn Maintenance and Resort-Style Amenities included in the HOA. Welcome home to Walnut Creek! MLS#3497713. EXP REALTY LLC. Schedule an appointment to see this stunning townhome today! MLS#3496659. Keller Williams Fort Mill. Don’t miss the opportunity to own this gorgeous new townhouse close to the clubhouse, fitness center, large pool and splash park. MLS#3489631. Coldwell Banker Residential Brokerage. Two other guest bedrooms upstairs as well as an open loft and laundry room. MLS#3488828. Stikeleather Realty. Sun City is a 55+ community. Must see! ! MLS#3485141. Stoneridge Realty. Walnut Creek - Located with easy access to I-485, exceptional dining, and corporate entities nearby in Ballantyne. MLS#3483490. Allen Tate Ballantyne. Resort style amenities including clubhouse, pool, fitness center, and sports complex. MLS#3483365. Allen Tate Ballantyne. Walnut Creek - Better than new**wonderful 4 bedroom 3 bath townhome in great location*Open floor plan with bedroom or office on main level*Gourmet kitchen with granite countertops, stainless steel appliances*Beautiful upgraded hardwood flooring*upstairs has 3 bedrooms and a large loft*Oversized master bedroom with luxury bath*Incredible space in immaculate condition* Resort style amenity with clubhouse, pool with splash park, fitness center, sports complex, playground and extensive trail system* SHOW - YOU WILL LOVE IT!!! ! MLS#3478796. RE/MAX Executive. This home also has a fountain view and access to walking trails. MLS#3460696. Keller Williams Fort Mill. 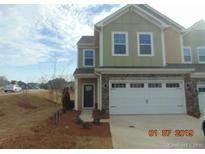 Beautiful community pond views and walking distance from the community sports complex and trail system. BUILDERS WARRANTY TRANSFERS TO BUYER MLS#3463641. Allen Tate Ballantyne. Beautiful community pond views and located walking distance from the sports complex and trail system. MLS#3461044. Chris Angel Real Estate.